Campers and Volunteers have until June 18th to apply! Want to learn a bit more about our new location? Find out about Timber Mountain in Oakhurst, CA by visiting their website. 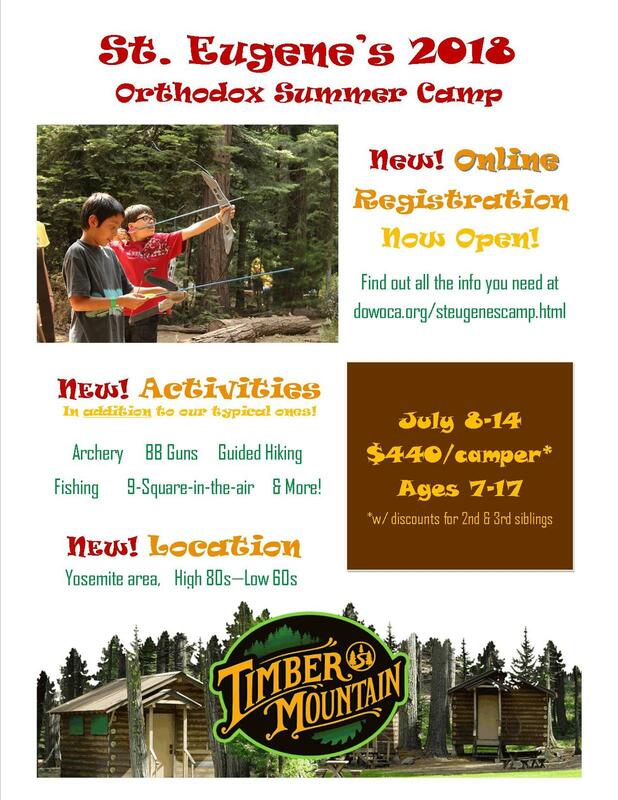 Want to SUPPORT St Eugene's Camp? Looking for applications and packing lists? Go to the Diocese of the West website for the latest information! Join us for our annual Christmas Festival and Luncheon! All our food is made with lots of love, from recipes passed on from generation to generation! The food will include our famous borsch(t), meat and cabbage pirozhki, meat-filled or vegetarian golubtsy (stuffed cabbage), salads, buckwheat with mushrooms, traditional desserts, Napoleon Cake and much more! We serve it piping hot to eat at the festival, and many items can also be bought frozen to take home. Join us for interactive puppet shows, as well as arts and crafts workshops. Plus our Lucky Barrel raffle drawing at 3pm! 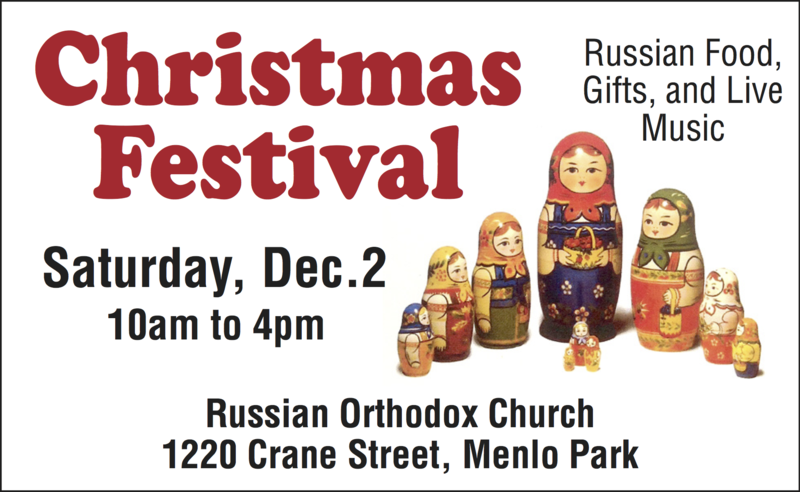 Enjoy a collection of traditional Russian songs and Christmas carols, performed by folk ensembles, children's choirs, and more. 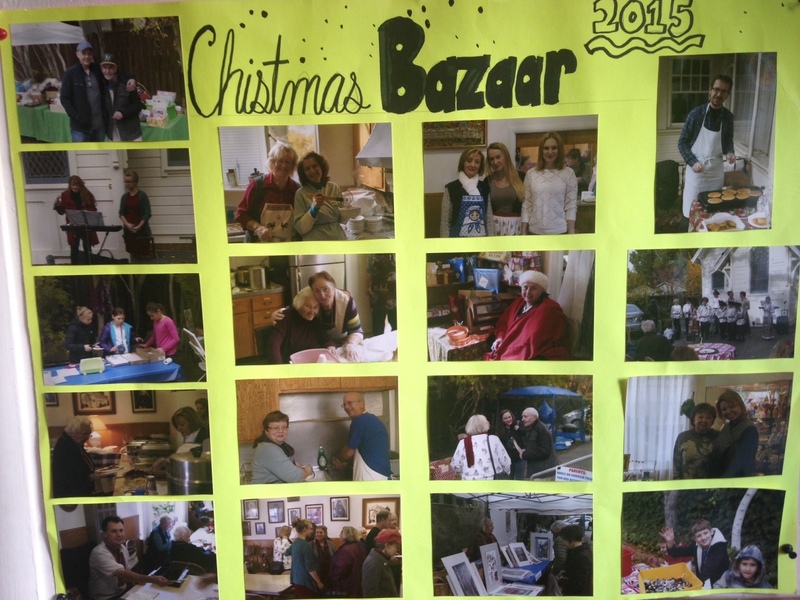 Local vendors will be selling art, crafts, dolls, handmade Christmas cards, and other festive goods. 12:00-2:00 Arts and crafts workshops for children. Come support us by attending our annual summer Rummage Sale. The date varies each year. 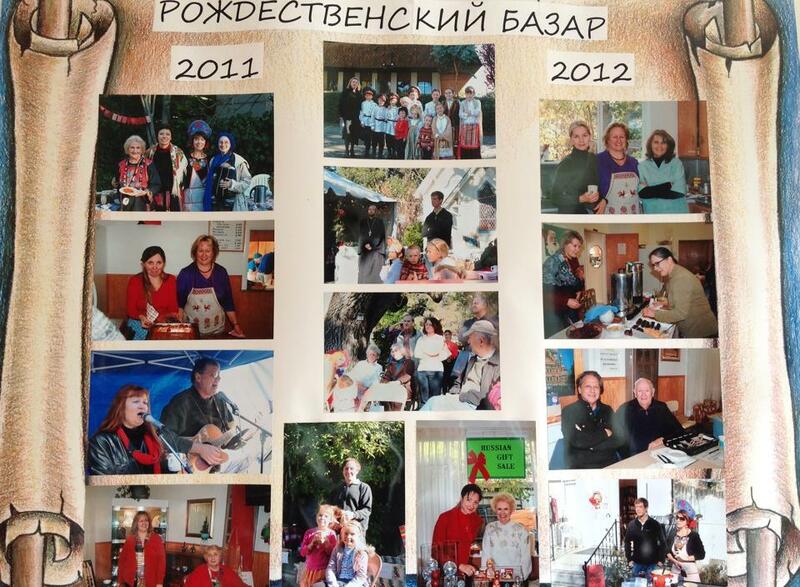 To continue the joy of Pascha, we hold an annual potluck Easter Picnic on the Sunday of Pascha after the Agape Vespers. The picnic usually starts around 1 or 2pm. The location is different each year, so ask a church member where it will be!